Steel Lintels - manufactured to BS 5977: Part 2 :1983 / BS EN 845-2:2013+A1:2016. 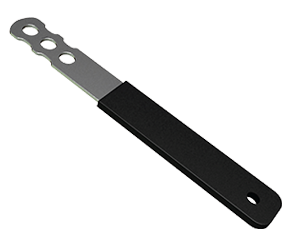 Wall Ties - manufactured to BS EN 845-1:2003 ( Formerly BS 1234 ). Block Reinforcement Ladder and Truss - manufactured as per ASTM A82 / ASTM A951 / BS EN 845-2:2013+A1:2016. 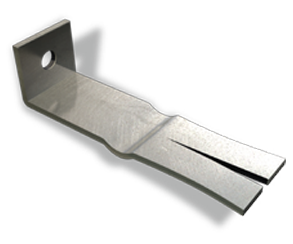 These ends have been manufactured to fit standard channel sections that is preset into concrete or surface fixed to any inner skin or structural ground. 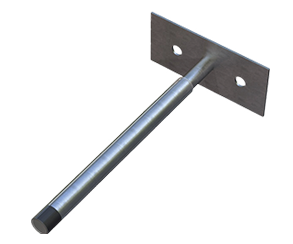 The most common method of anchoring a tie to a slab facing, is by means of a round dowel into a drilled hole, split tangs on the tie may also be used. For bonding into brickwork the “Fishtailed” end is the traditional. Shanks may be plain or may include a drip to stop the passage of moisture across. 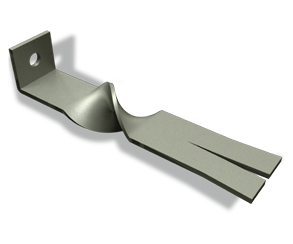 Each tie will consist of a tail element, for attachment to the facing material, a shank element, and a head element, for attachment to the structure. Device for connecting a masonry leaf across a cavity to another masonry leaf or to a structural frame to resist tension and compression forces while allowing limited differential movement in the plane of the wall. 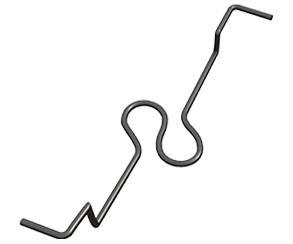 Wall ties are an important element in the stability of cavity walls. The correct selection, spacing and installation of ties is recomended to avoid damp penetration and cracking of masonry. Wall ties may only be mounted in a horizontal position and in the plane ( on level) between the masonry leaves of the cavity wall once the mortar has been applied on the block work, the tie must be embedded in the mortar, cover as well is top with mortar. The tie must be extend in the mortar joints at least 90 mm in the inner leaf and at least 65 mm in the outer leaf. 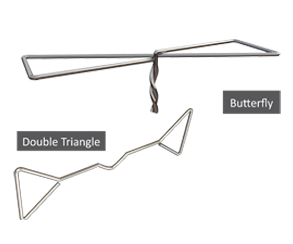 Wall ties are further sub classified as asymmetrical or symmetrical. 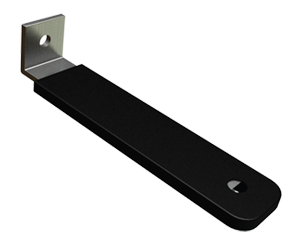 Wall ties is for us in the external walls, suitable for flat sites where basic wind speed is up to 30 m/s. To comply with: DIN 1053, at least 5 pieces of cavity wall ties should be used per square meter in accordance with DIN 17440, material of SS. 1.4401 or SS 1.4571. Three additional wall ties are required for the edges of building. The distance between the ties should be maximum 500 mm vertically, and not more than750 mm horizontally. The thickness of the wire tie depends on the height of the building and on the size of the wall cavity. The minimum thickness is 3 mm. 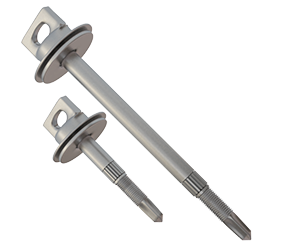 For walls that are higher than 12 m above ground level or where the gaps between the walls are more than 70 mm to 120 mm, a minimum of 5 wall ties with diameters of 4 mm are to be inserted. 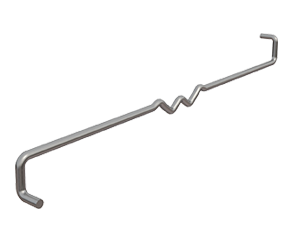 If the gaps between the walls are more than 120 to 150 mm, a minimum of 7 wall ties with diameters of 4 mm or 5 wall ties with diameters of 5 mm are to be inserted. 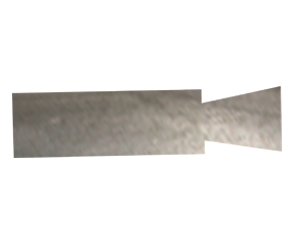 The length of the wall tie should be measured in such a way that the anchor is embedded 50 mm into the masonry and a further 25 mm is bent round. The thickness of the cavity and the thickness of the insulating material shall be added. A. Galvanized Steel Sheet: BS 2989, ASTM A 653M, Commercial Steel, Z 180 zinc coating. B. Stainless Steel Sheet: ASTM A 666, Type 304/Type 316. 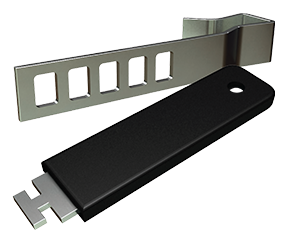 Available in five sizes to accommodate a steel thickness from 7mm to 25mm, this fixing is simply hammered onto the flange. 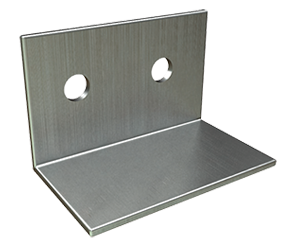 It can be utilized either on a column with a tie or on a beam with an internal head restraint. “Z” Wire Tie is used for tying masonry to masonry ( Composite Wall Only ). Not used in walls with air space and or insulation. 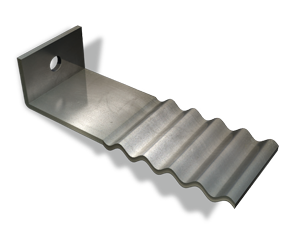 Head Restraints provide the necessary restraint to the top of masonry walls. They allow for vertical movement to accommodate shrinkage or thermal movement of the wall or structural frame, while restraining wind loads. - Partition Top angle prevents a horizontal movement of the masonry wall. - Supports the horizontal force on top of the block work due to human impact or wind pressure. - To be fixed on both sides of the wall. - To be fixed with 2x M6 Screw with plastic anchor. - Provides support while preventing a solid connection between the wall and the ceiling. 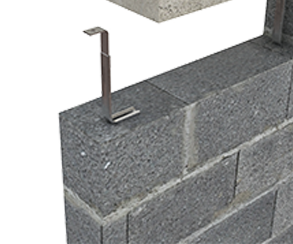 Partition Top Anchors have been developed to provide lateral shear resistance at the upper limit of masonry walls. They permit vertical deflection of the slab above, without transferring compressive loads to the masonry wall below. 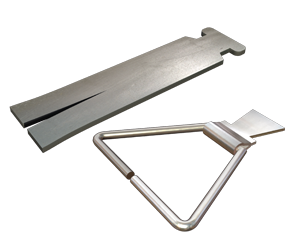 Partition Top Anchors are suitable for construction using steel. 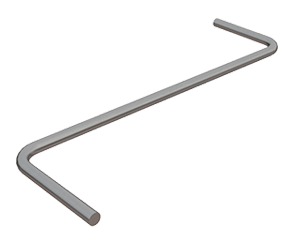 Partition Top Anchors Tube with expansion filler is placed over rod anchor, which has been attached to concrete or steel by any of the methods illustrated. 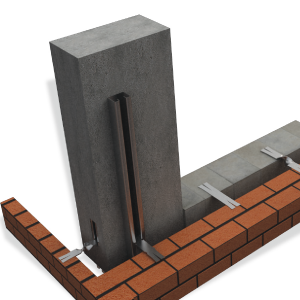 Sure-Tie quickly and accurately pierces insulation and/or wallboard to abut steel/studs in brick veneer applications. Accommodates 1/2“ and 5/8“ wall board and various thicknesses of insulation. RB Rebar Positioners are for positioning and stabilizing rebars installed into concrete block cores in reinforced masonry. TWIN Rebar Positioners are similar to the standard RB model but with double loops to hold 4 rebars.